It's time for the final public hearing on a zoning revision or comprehensive plan amendment that the planning commission has been working on for over a year. Through a multitude of sparsely attended community meetings, participants have discussed the ins and outs of different planning recommendations, reviewing colored maps and charts and pages upon pages of text. Suddenly, seemingly out of nowhere, massive opposition erupts as rumors spread around town about what they are about to do to us. Why does this happen, and what can be done about it? 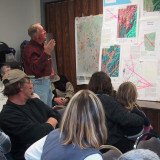 The art of public participation has been extensively described in planning publications, and much has been written about the techniques of participation, such as written surveys, public workshops, multi-day charrettes, citizen advisory committees, and other techniques designed to elicit public input. These are all useful tools, but unless they successfully engage the community, they will fall short of their goals. This article describes and illustrates some of the key ingredients in a successful planning process that builds "from the ground up." 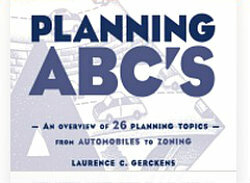 Good planning is neither strictly top-down nor bottom-up. Rather, it requires effective management at the top to excite the imagination and interest of the community at large, along with a genuine openness to citizens' concerns and suggestions. When solutions are "pre-cooked" and then pushed through an approval process using public relations rather than public engagement, they usually fail. Problem definition and solution must emerge through a well-managed public process that involves people in a meaningful way. This is not easy to do. The secret, if there is one, is to directly engage citizens at a heart-felt level on matters in which they and their families have a stake, using language that they can readily understand. While this is no guarantee of success (there are no guarantees), it certainly improves the odds of a good outcome. This structured, open process is at the core of the "Keep Farming"® program developed by the Glynwood Center, a non-profit located in New York's Hudson Valley. Keep Farming has helped several area communities develop and run successful planning efforts.